1Department of Mining and Metallurgical Engineering, Yazd University, Safayieh, Daneshgah Blvd, University Main Campus, P.O. Box 89195-741, Yazd, Iran. 2Department of Materials Science and Engineering, Shahid Bahonar University, 76135-133, Kerman, Iran. 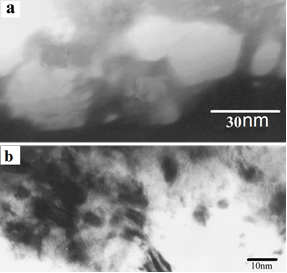 The mechanical alloying (MA) procedure was used to synthesize the Ni50Al50 and Ni50Al45Mo5 nanocrystalline intermetallic compound using the pure Ni, Al and Mo elemental powders under an argon atmosphere for different times (8, 16, 48, 80 and 128 h) in a planetary ball mill with hardened steel balls (12 balls-1cm and 4 balls-2cm in diameter). The mechanical alloying was carried out in the attendance of various Mo contents as a micro-alloying element for various milling times. Microstructural characterization and structural changes of powder particles during mechanical alloying were studied by X-ray diffraction (XRD), scanning electron microscopy (SEM), and transmission electron microscopy (TEM). Outcomes confirmed that the synthesis behavior of NiAl intermetallic depends on the milling time and Mo content. The results show that after than 80h milling, the intermetallic phase is produced after opening the vial lid. X-ray map show that, in the fixed milling time, enhancing the Mo content leads to acceleration in the NiAl formation in air atmosphere. The mechanical alloyed powders have a microstructure consisting of nanometer size particles. Mo enhance has a considerable effect on the lowering of crystallite size. The TEM image showed that the Ni50Al45Mo5 nano-particles were less than 10 nm. The average grain size is smaller than those sizes obtained in the NiAl (25 – 35 nm) alloy. Nonetheless,lowductilityat room temperat-ure is the major limitation for the structural applications of this material. One way forimproving its ductilityis to diminish the crystallite size to the nanometer scale . Mechanical alloying is a solid state proced ureroute which can be employed for the synthesis of nanocrystalline intermetallics. Synthesis of nanocrystalline nickel aluminide by MA elemental powders hasbeen reported in several works[1,4,5]. Mechanical alloying can provide all the above-mentioned points simultaneously; therefore, this technique has been extensively applied to synthesize NiAl intermetallic. Though extensive researches have been carried out on these alloys, new investigations still continue to disclose attractive properties of the NiAl alloy system[6-8].Mechanical alloying has been successfully applied for making nanocrystalline materials. Many researchers have reported making nanocrystallineNiAl intermetallic compound by mechanical alloying [9-12]. Atzmonwas the first to reportthe occurrence ofmechanically produced self-propagatingreaction (MSR) during the mechanical alloying of Ni and Alpowders. Joardaret al.also reported theobtaining of the NiAl compound without the occurrence of a MSR; also,the authors specified the optimum milling parameters and energydomains for synthesis of nanocrystalline nickel aluminide by mechanicalalloying in planetary mill. Kubaski et al.also verified that the occurrence of a MSR, and the NiAl intermetallic compound was found in specimensafter about 40 min ofmilling in a shaker mill. Recently, great attention has been paid to the investigation of ternary systems by mechanical alloying.As already mentioned mechanical alloying is known as a suitable tool for synthesis of nanocrystalline NiAl-x intermetallics. It has been verified that in the nanocrystalline materials obtained by mechanical alloying, due to the extensive deformation, the internal energy of the particle lattice increases and consequently their reactivity is increaseed. The basic factors thataffect the mechanisms occurring during the mechanical alloying procedure are fractured and cold welding repetition of particles followed by an enhancein their reactivity . The purpose of this work is to explore the formation mechanism of Ni50Al50 intermetallic compound was studied by applying a planetary ball mill and the effect of Mo additions and different milling times on structure of Ni50Al50 and Ni50Al45Mo5intermetallic manufactured by MA method was investigated. The starting materials used in this study include high purity Ni, Al and Mo powders with particle size of <10, 16] gave more energy to the powder particles. In all MA runs the ball to powder weight ratio was 15:1 and the vial rotation speed was 250 rpm. Various elemental blendwith the composition of Ni50Al50 and Ni50Al45Mo5have been studied in the present investigation. Small amount (3 wt%) of ethanol was added to prevent exorbitant welding of the powders to the steel balls and container. The milling times were 8, 16, 48, 80 and 128 h.
Where k is the Scherrer constant, which is 0.9, λ = 0.1542 nm, βis the peak breadth in mid height and θ half of the diffraction angle. Microstructure of powder particles which was investigated by SEM in a Philips XL30 CamScan MV2300.X-ray mapping was also done to see the repartition of the different elements in the milled powders.To see the distribution of the different elements in the milled powders, XRD mapping was used.The morphology and the average particle size of Ni50Al50 and Ni50Al45Mo5nano-particles were further investigated by a transmission electron microscope (TEM, PHILIPS CM20).Bright and dark field images and also high-resolution images were obtained. 1. AllX-ray diffraction patterns illustrate that the nickel aluminide intermetallic diffraction peak as the only phase existence in the final product. 2. The X-ray diffraction patterns just vary together in (a): peaks intensity and (b): change in peaks positions. Table 1 illustrates the initial powder mixtures chosen for milling procedure and thesurroundings in which the nickel aluminide compound is formed pursuant to Table 1, after stopping the milling procedure, two feasibility can be viewed in relation to nickel aluminide synthesis as the milling product: (a) the NiAl phase has been synthesized under Ar atmosphere through milling operation, in effect, before reaching the significant milling time. These specimenswere marked with ★ symbol in Table 1. (b) The nickel aluminide compound would be produced after stopping the milling procedure and opening the vial lid,in effect, by an exothermic reaction in the air atmosphere followed by a flame. These specimensare marked with ■ and ▲ symbols in Table 1. As Table 1 represents, the mentioned possibilities depend on milling time as well as the Mo contents. According to Table 1, 16 and 48 h of milling outcomes in the possibility of (b) for all Mo contents, 128 h of milling outcomes in the possibility of (a) for all Mo contents and the formation manner of nickel aluminide for 80 h of milling time depends on the Mo content. It can be viewed that the peaks of that low Mo contents (specimens1-80 up to 3-80) will culminate in the possibility of (b) while enhancing the Mo values (specimens4-80 and 5-80) resulting in the possibility of (a). Table 1. Formation behavior of NiAl after the considered milling time: (★) Formation of NiAl in vial under Ar atmosphere; (■&▲) Formation of NiAl in air. After opening the vial lid of the specimensmarked with (■ and ▲), mixed powders are exposed to air atmosphere and a reaction takes place which is followed by a flame for a little durationof time. It was viewed that the reaction in the specimens1-80 up to 3-80 took place significantlyfaster than the ones in the specimens with 16 and 48 h of milling. This observation can be related to decreasing the particle size which consequently enhances the surface region during themechanical alloying procedure. Fig. 1 illustrates a SEM micrograph of the mixed powders in the specimens1-16 (Fig. 1a), 1-48 (Fig. 1b) and 1-80 (Fig. 1c). It can be easily viewed that the specimen with longer milling time (1-80) includes finer and more homogenous particles with attention to the ones with lesser milling time. Therefore, the specimens milled for 80 h are more ready to react with the air atmosphere with attention to the specimens milled at 16 and 48 h.
To investigate nickel aluminide synthesis manner more indepth, study of the structural changes of Ni and Al lattice during mechanical alloying in the attendance of Mo as micro-alloying element was attempted. For this purpose, it is necessary to investigate the X-ray diffraction pattern of some milled specimensbefore production of nickel aluminide phase. Therefore the specimens(2-16 and 5-16) in which the nickel aluminide phase is not formed under Ar are chosen and their X-ray diffraction pattern is achieved before reacting with air atmosphere. Fig. 1. The SEM micrograph of NiAl particles without Mo content generated in air atmosphere for the samples 1-16, 1-48 and 1-80. A cross-sectional X-ray diffraction pattern related to the most intense peak of Ni is drawn in Fig. 2. This figure discloses the structural variations of Ni lattice during mechanical alloying before production of nickel aluminide phase. Three peaks are represented in this figure: the lesser peak is related to as received the Ni powder and other peaks illustrate the X-ray diffraction patterns of Ni milled together with the Al powder for 16 h in the attendance of Mo as micro-alloying element. The intermediate and high peaks are related to the powder blend including 0.5 and 5.0 at% Mo, respectively. The intermediate and high peaks are related to the specimensin which there is not any nickel aluminide intermetallic yet. It is obvious from Fig. 2 that the intermediate and high peaks are a little shifted toward higher 2θ angles with attention to the lesser peak. As an outcome, the peak of Ni for the specimenwith higher Mo contents (highpeak) moves less than the one with lesser Mo contents (intermediate peak). It is clear that during mechanical alloying, heavy deformation, welding and fracturing are introduced into the particles. This is manifested by the attendance of a variety of crystal defects similar stacking faults, dislocations, vacancies and enhanced number of grain boundaries. The attendance of this defect structure enhances diffusivity of solute elements into the matrix. Furthermore, the refined microstructural features reduce the diffusion distances. Furthermore, it is obvious that a little increase in the temperature during milling further aids the diffusion behavior. Change in Ni peaks positions is caused by the stress induced by the structural defects such as vacancies created during mechanical alloying. Since, the Mo atomic size is approximately close to the Ni atomic size, situation of Mo in some of the Ni vacancies diminishes the stress induced by mechanical alloying. In the other words, solution of Mo in the Ni lattice compensates the stress stored in the Ni lattice raised by the defects induced during mechanical alloying. For this Cause, the peak of Ni for the specimenwith higher Mo contents (highpeak in Fig. 2) has been displaced less than the specimenwith lesser Mo contents (intermediate peak in Fig. 2). However, the amount of Mo is not sufficient to compensate the stress stored in the Ni lattice fully. It has been reported that Mo dissolution in Ni is an exothermic procedure. The heat released from this reaction speeds up the reaction of Ni with Al. Therefore, enhancing the Mo content speeds up the formation of nickel aluminide. This is the Cause for the viewed difference in the formation behavior of nickel aluminide at the 80 h milling time (view Table 1). Fig. 2. Comparison between three most intense Ni peaks (the XRD pattern provided before generation of nickel aluminide phase in samples 2-16 and 5-16). The highest peaks of elemental Al outcomes by X-ray diffraction analysis of the powder-blend milled for 16 hillustrates in Fig. 3 and can be used to study the structural variations of Al lattice during mechanical alloying before production of nickel aluminide phase. Resemble to Fig. 2, there exist three peaks in Fig. 3: the lesser peak is related to as received Al powder and other peaks illustrate the X-ray diffraction patterns of Al milled together with the Ni and Mo powder for 16 h. The intermediate and high peaks are related to the Al in the powder-blend including 0.5 and 5.0 at% Mo, respectively. These peaks are related to the specimensin which there is not any nickel aluminide intermetallic yet. According to Fig. 3, both intermediate and high peaks have been moved toward higher 2θ angles with attention to the lesser peak (no milled peak). In contrast to the contrariwise Ni peaks, the highpeaks of Al have been moved equivalent to the intermediate peak. This means that the Mo which existed in the powder-blend does not have any effect on the change in Al peaks positions. As the solubility of Mo in Al lattice is low; the Mo cannot compensate the stored stress in Al lattice induced by the defects which was created during mechanical alloying. Therefore, change in Al peaks positions is only due to severe plastic deformation and the production of many defects resulted from milling media. Fig. 3. Comparison between three most intense Al peaks (the XRD pattern provided before the generation of nickel aluminide phase in samples 2-16 and 5-16). Fig. 4 representsthe basic X-ray diffraction peaks of nickel aluminide phase synthesized in the attendance of 0 and 0.5 at% Mo. The two highestpeaks are related to the specimens1-128 and 2-128 that were milled up to 128 h and the nickel aluminide compound which was fully formed in the Ar atmosphere before milling off. Other peaks illustrate the X-ray diffraction pattern of nickel aluminide phase produced after milling off in the air atmosphere (the specimens1-16, 1-80 and 2-80). 1. The nickel aluminide peaks for the specimens1-80 and 2-80 have been appearing in resemble angles. It means that when the produced nickel aluminide is milled under Ar, enhancing Mo from 0 up to 0.5 at% it does not have any effect on the peaks positions. 2. The nickel aluminide peaks for the specimens1-16 and 1-80 have been appearing in resemble angles. It means that the milling time of the powder blend does not have any effect on the diffraction manner of nickel aluminide compound synthesized after milling off (in the air atmosphere). 3. In relation to nickel aluminide phases produced in the specimens1-16 and 1-80, though the intensities and diffraction angles are similar to each other, they have been a little displaced to lesser angles with attention to the specimens1-128 and 2-128. 4. The basic peak of nickel aluminide phase formed in the specimen2-80 appears in the lowest diffraction angles with attention to the one formed in the other specimens. When the milling time is sufficient, the nickel aluminide intermetallic is synthesized under protective gas (here is Ar) before milling off. Continuing the milling procedure after the production of nickel aluminide causes an enhancement in the internal crystal stress in the nickel aluminide lattice. In the other words, the nickel aluminide phases synthesized in the specimens1-128 and 2-128 have been milled after production while those synthesized in the specimens1-16 and 1-80 do not have any milling experience after production. Therefore, the basic peak of nickel aluminide formed in the specimens1-128 and 2-128 is located in the higher angles with attention to that one formed in the specimens1-16 and 1-80. Fig. 4. Comparison between various most intense NiAl peaks formed on different milling times. In relation to the specimens1-16, 1-80 and 2-80 it can be expressed that the heat released during the formation of NiAl compound (in the air) causes recovery and annealing of the milled particles, hence, the peaks of nickel aluminide phase produced in the specimens1-16 and 1-80 are independent of the milling time. For the specimens1-80 and 2-80, it can be viewed that the peak of nickel aluminide formed in the specimen2-80 appears in the lesser angles, while, as it was already mentioned that enhancing Mo from 0 at% up to 0.5 at% does not have any significant effect on the peaks positions (view the peaks of 1-128 and 2-128). It can be described that the Mo enhances the slip systems and reduces the APB energy. Hence, as the critical shear stress for dislocation production would be reduced at the final step, the dislocation mobility is enhanced. Obviously, the new dislocations produced by the new activated slip systems affect the recovery and annealing procedure, in effect, Mo can influence the recovery and annealing procedure of nickel aluminide phase. Hence,whenthe nickel aluminide intermetallic is synthesized in the air atmosphere, enhancing the Mo from 0 up to 0.5 at% has a significant effect on its crystal lattice. The stress is released due to recovery and annealing, therefore, the peak of nickel aluminide produced in the specimen2-80 appears in the lesser angle with attention to the specimen1-80. Fig. 5 illustrates a dark field TEM image of the Ni50Al50 andNi50Al45Mo5alloys after the mechanical alloyed process. Fig. 5(a) clearly shows grain sizes in the 25 - 35 nm range. The average grain size is in the nanometric range less than 10 nm (Fig. 5(b)) and smaller than those sizes obtained in the NiAl (25–35 nm) alloy. 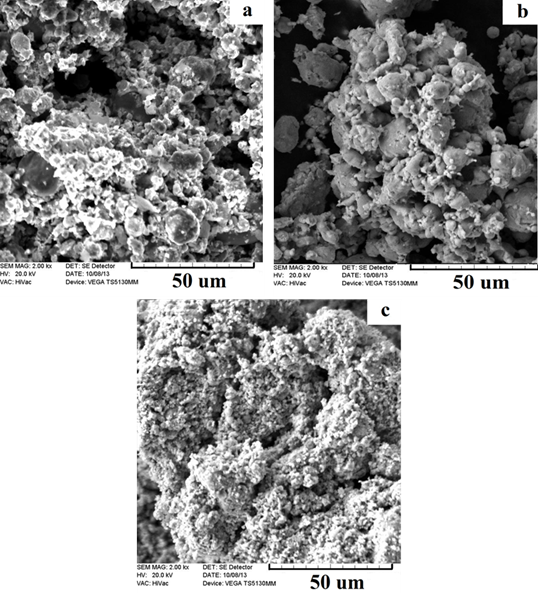 The mechanical alloying procedure was used to synthesize the Ni50Al50 and Ni50Al45Mo5nanocrystalline intermetallic compound using the pure Ni, Al and Mo elemental powders in a planetary ball mill. The mechanical alloying was carried out in the attendance of various Mo contents as a micro-alloying element for various milling times. In a sufficient milling time, the nickel aluminide phase is produced during mechanical alloying under protective gas which here is Ar. The synthesis manner of nickel aluminide intermetallic depends on the micro-alloying of Mo contents and milling time. If the milling time is not sufficient, the nickel aluminide intermetallic is not produced during the milling procedure. Longer milling time speeds up the nickel aluminide formation in the air atmosphere. When the milling time is fixed, enhancing the Mo content speeds up the nickel aluminide formation in the air atmosphere. The Mo compensates the defects created in the Ni lattice during mechanical alloying. When the nickel aluminide phase is formed during mechanical alloying, the Mo content does not affect the peaks positions. Although, the peak of nickel aluminide produced in the air atmosphere is displaced by changing the Mo contents. In the fixed milling time, enhancing the Mo content leads to acceleration in the nickel aluminide formation in the air atmosphere. Mo enhance has a considerable effect on the lowering of crystallite size. We are grateful to the research council of Yazd University for support of the present work. How to cite this manuscript: Ali Khajesarvi, Gholam-Hossein Akbari. Study of molybdenum effect on synthesis behavior of nanocrystalline NiAl intermetallic during mechanical alloying. 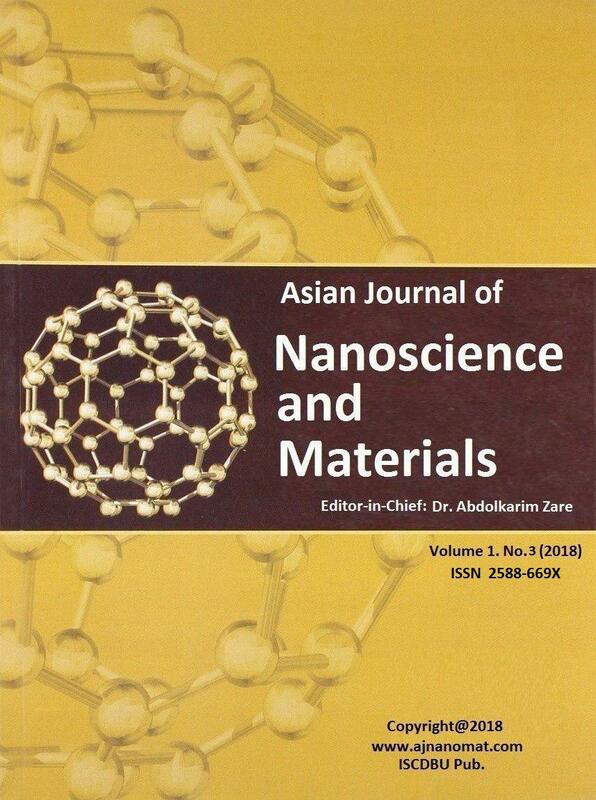 Asian Journal of Nanoscience and Materials, 2018, 1, 141-154. 1. Albiter, A., Salazar, M., Bedolla, E., Drew, R.,& Perez, R.(2003) Mater. Sci. Eng: A,347:154-164. 2. Lin,C., Hong,S., & Lee,P.(2000). Intermetallics,8:1043-1048. 3. Choudry,M.,Dollar,M., Eastman,J.(1998). Mater. Sci. Eng: A,256:25-33. 5. Joardar,J., Pabi,S.,&Murty,B. (2007) J. Alloy. Compd, 429:204-210. 6. Sheng,L., Zhang,W., Guo,J., Yang,F., Liang,Y.,&Ye,H. (2010) Intermetallics, 18:740-744. 8. Froes,F., Suryanarayana,C., Russell,K., &Li,C. (1995) Mater. Sci. Eng: A,192:612-623. 9. Khajesarvi,A., &Akbari,G. (2016) Metall. Mater. T. A, 47:1881-1888. 10. Liu,E., Jia,J., Bai,Y., Wang,W., &Gao,Y. (2014) Mater. Des, 53:596-601. 11. Kubaski,E.,Cintho,O., &Capocchi,J. (2011) Powder. tech, 214:77-82. 12. Zadorozhnyy,V.,Kaloshkin,S., Tcherdyntsev,V., Gorshenkov,M., Komissarov,A.,&Zadorozhnyy,M. (2014) J. Alloy. Compd, 586:373-376. 13. Atzmon,M. (1990) Phys. R. Letters, 64:487. 14. Kubaski,E., Capocchi,J., Farias,F., Mendes,L., &Cintho,O.(2008). Mater. Sci. Tech., 2008:2474-2482. 15. Suryanarayana,C. (2004). Mech.alloy. mill., CRC Press. 16. Takacs,L.(1996). J. Solid. State. Chem., 125:75-84. 17. Gavrilov,D., Vinogradov,O.,&Shaw,W. (1995). Tenth International Conference on Composite Materials. III. Processing and Manufacturing., 11-17. 18. Suryanarayana.C.,&Norton,M. (1998).Microsc. Microanal, 4:513-515.